Today was supposed to be a day off, but since i was falling behind a bit, i decided to do some work on it anyway. I only have 24 days left, and i really need to finish everything, so clock is ticking. So i started working on my Executionner. I didn't think these would take too long to paint, since they are a pretty simple model, but in the end, i think the sheer number of them might slow me down, alot. So my goal was to get the basecoat on their cape, hoping to give it another coat tomorrow and shade/highlight it. 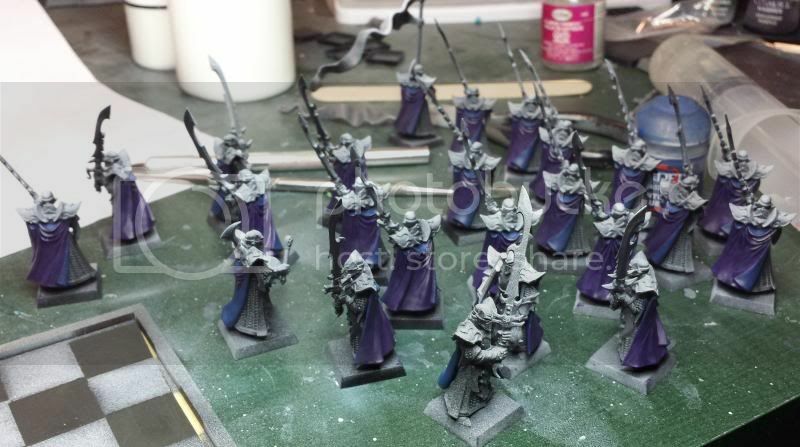 My cloth is pretty simple paint scheme, so it shouldnt take me much more than 4-5 hours to do them all. One thing i hadn't consider tho, is that they have ALOT of chainmail, and i just have no clue how to paint such surface. I tried, many times, but it always looks bad... I'm currently considering painting it like my metal, and highlighting it as if it was a flat surface... could work. So a pretty boring update. My Cauldron on a base. IT actually look very, very light, but its a bit darker. 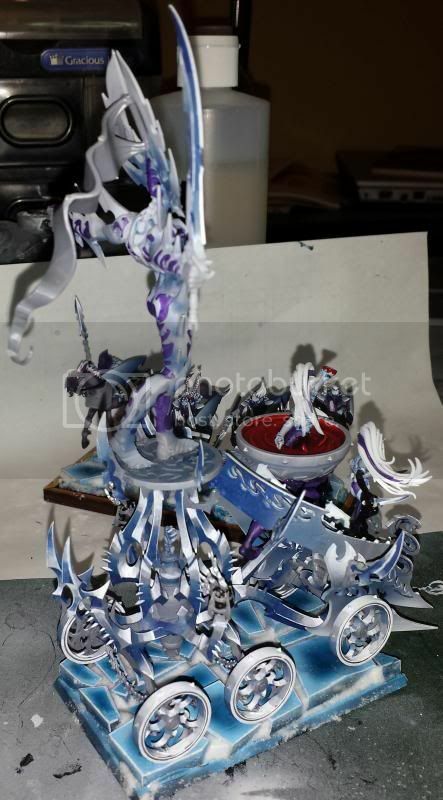 You can also see my mock up BSB Banner on the top. I'll put a magnet up there and use it to represent my BSB. It looks nice, fit nicely with the model, and doesnt force me to break her arms to put a staff in there.